Committed to stemming a cycle of provincial hospital underfunding they believe risks patient care, frontline staff at Health Sciences North (HSN) are building community opposition to the most recent round of staff and patient cuts at the hospital. Their efforts to form an anti-cuts movement in Sudbury are intensifying with a second in a series of ‘stop the cuts’ rally on Tuesday, November 6, at noon at the HSN Paris Street entrance. They are also teaming up with the Ontario Health Coalition (OHC) for community forum on Monday, November 12, at 6:00 p.m. at the Steelworkers Hall, 66 Brady Street. Should the cuts to more than 100 full-time equivalent positions proceed, “patients will be left with less staff to assist them and provide care. And the staff who remain will be scrambling with additional duties on top of their already heavy workloads trying to provide care to a higher number of patients,” says Sharon Richer, secretary-treasurer of the Ontario Council of Hospital Unions (OCHU), a Sudbury resident and former staff at HSN. In Ontario, OCHU is the hospital division of the Canadian Union of Public of Employees (CUPE) which represents about 40,000 hospital staff province-wide. On October 23, a busload of HSN staff, represented by CUPE 1623, travelled to Toronto where they joined 8,000 people from across Ontario for an OHC-organized, broad community rally calling on the new PC government to rebuild and enhance, not privatize health care. The coming November 6 rally at HSN is the second such community mobilizing event at the hospital calling for the recent staffing cuts to be rescinded, to ensure patient care and safety is maintained. “Keeping the hospital environment clean and infection-free is a tremendous challenge. During the high patient surge periods, and with the consistent overcrowding at the occupancy levels we’ve seen at the hospital in recent years, it is backbreaking for staff to keep pace to prevent transmission of MRSA and other superbugs,” says Richer. 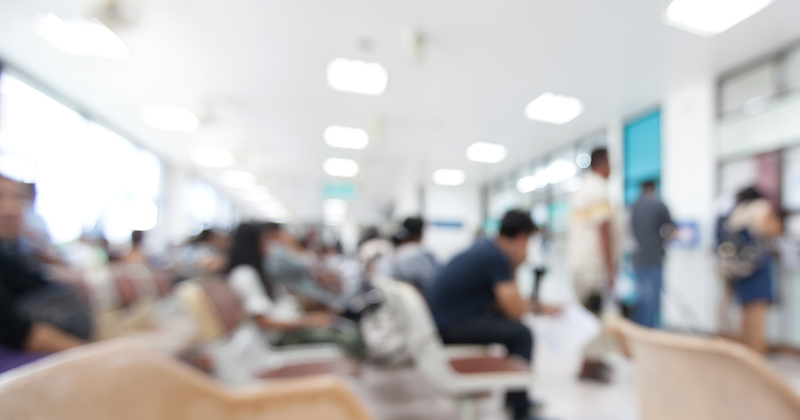 Research shows that, as occupancy rates exceed 85 per cent, the risk of infectious outbreaks and the incidence of medical errors increase, and the ability of hospitals to match the demand for in-patient care with available beds diminishes rapidly. HSN is scrambling with a deficit in the millions of dollars and is cutting more than 100 staff. Provincial hospital funding per capita is 28.3 per higher in the rest of Canada than in Ontario — $404.09 more per person per year. The cost of an average stay at HSN is $4,974 compared to $5,360 in Ontario and $5,992 in Canada. In the last two years, rarely has HSN been below 100 per cent capacity. Bed overcrowding is a constant occurrence and that is outside the extra flu and seasonal patient surges. In the last few weeks, HSN has operated at an average of 110 per cent capacity.